William Ballenger was active in many early auto companies, including: General Motors, Buick, Chevrolet, Flint Wagon Works, and others. Ballenger was active in the city, including being on a committee to move forward with “New Flint”, with the goal being an even better place to live. Ballenger is remembered in the city with Ballenger Highway, which runs through the city touching current General Motors plants along the way. 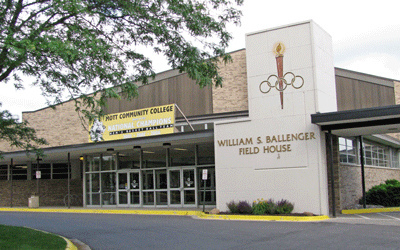 Another remembrance to Ballenger is the Ballenger Field House located on Mott Community College’s campus. This complex is where the school holds its basketball games. Ballenger paid for this complex via a trust he set up to help fund Flint Junior College, which would become Mott Community College. In 2004 the field house was rededicated to Ballenger and a large monument was installed.